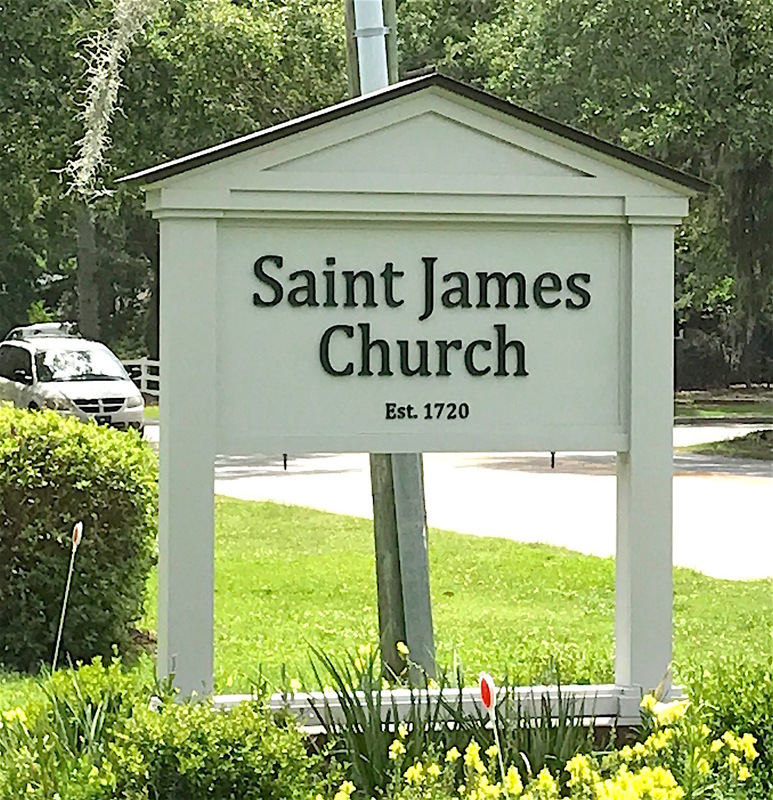 About two miles from the James Island Presbyterian Church’s (S.C.) cemeteries is Saint James Church on Camp Road. It is a large church and the cemetery not only surrounds the main chapel building but continues into the back as well. Find a Grave has ore than 400 memorials recorded for it currently. The front of Saint James Church. 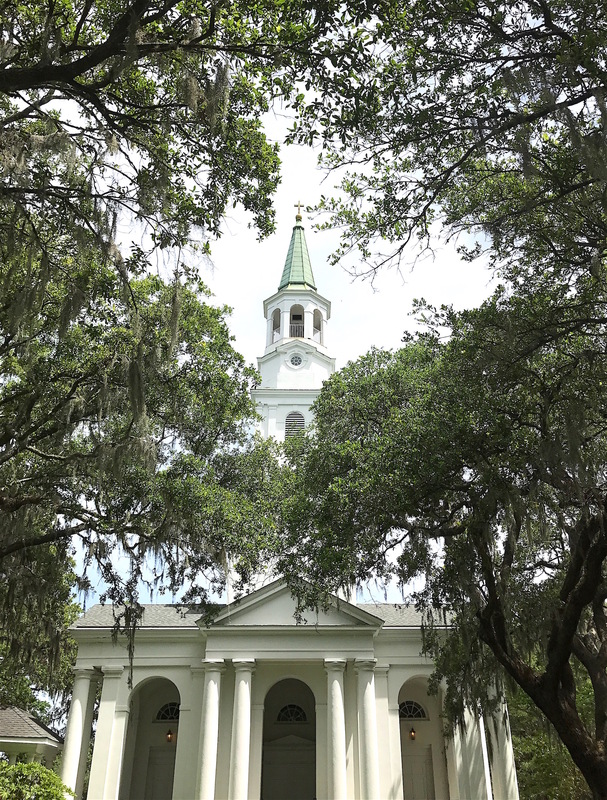 According to the Saint James Church web site, in the early 1700s, the original Anglican congregation met as a “chapel of ease” in a house with the rector of Saint Andrew’s Parish, the Rev. William Guy. In his report of August 1, 1722, plans for the building of a chapel were mentioned. That chapel was probably completed in that year, but the parish went into disuse several times over those early years. The first was during the American Revolution when it appears there was no priest from 1773 to 1787. After the Revolutionary War, the Rev. Thomas Mills came as a minister of St. Andrews. 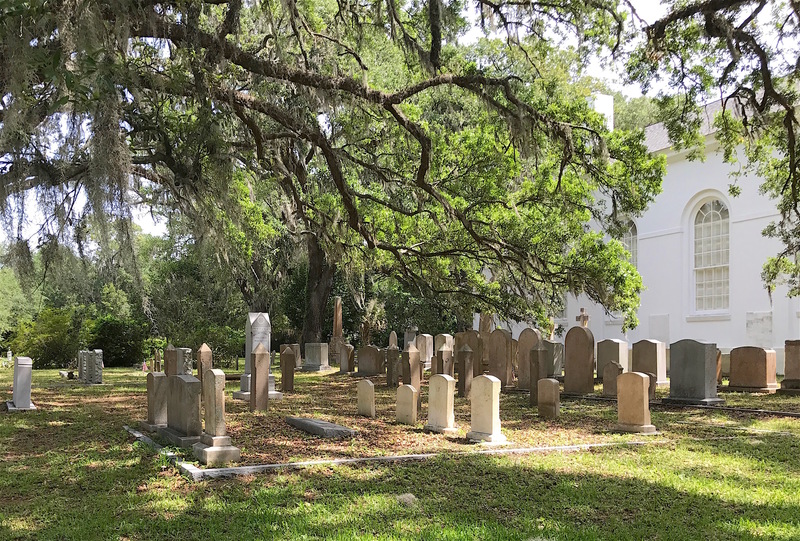 He preached at St. Andrew’s Chapel of Ease on James Island once a month. The third chapel building was completed just as Rev. Mills’ tenure began in 1787. Saint James Church is located on busy Camp Road. Between 1839 and 1842, Stiles Mellichamp (whom I mentioned in last week’s post) rose to be a liturgical and spiritual lay leader on the Island. Freshly ordained, the Rev. Mellichamp (1842-1851, 1853-1863) took Saint James as his first church. He preached three or four times each Sunday to both white and black congregations. In 1862, services were discontinued during the Civil War when all communicants of Saint James left the island. The church was destroyed by fire in 1864 unrelated to the war and services were held in the Presbyterian church after everyone returned. From 1864 to 1897, few services were held. However, in 1898, Saint James Church was organized as a mission again and a Gothic-style church was built. The current church building was constructed in 1960. 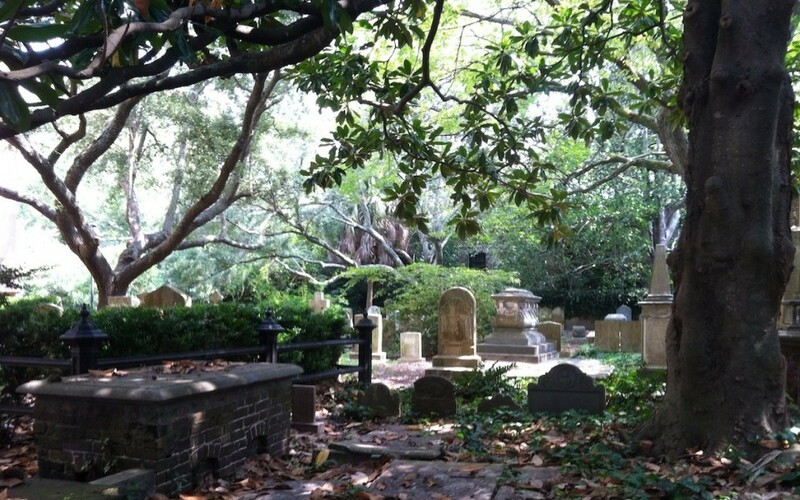 While Camp Road is quite busy and a little noisy, when you start walking around the buildings into the cemetery, it becomes quite peaceful among the Spanish-moss laden trees. Two small markers caught my attention right away because they were made of wood. It’s almost unheard of for wooden markers to survive past a few decades because of their fragile nature and weather conditions over time. I learned from a news article that during the Civil War, all of Saint James Church’s records were taken up to Winnsboro, S.C. Alas, Sherman went through Winnsboro and burned everything up there, so the church lost all records prior to 1860. So while we don’t know who these markers are for, they are still intact. The identities of the two people for whom these wooden markers were made are unknown. I noticed several graves for the Ellis and McLeod families nearby. Dr. Daniel Wadsworth Ellis, son of Dr. William DeLoach Ellis and Susan Emily Hay Ellis, was born in Barnwell, S.C. in 1853. His older brother, William, fought for the Confederate Army during the Civil War and was a prisoner of war near the end. Upon his release, he eventually moved to Atlanta to pursue a law career, becoming a prominent judge there. He and their mother, Susan, are both buried in Atlanta’s Oakland Cemetery. Dr. Ellis got his medical degree from the Medical College of South Carolina in 1888. But before that he married Rena McLeod in Charleston sometime around 1881. Of their three children, Rose, Annie and Reginald, only their eldest, Rose, would survive into adulthood. 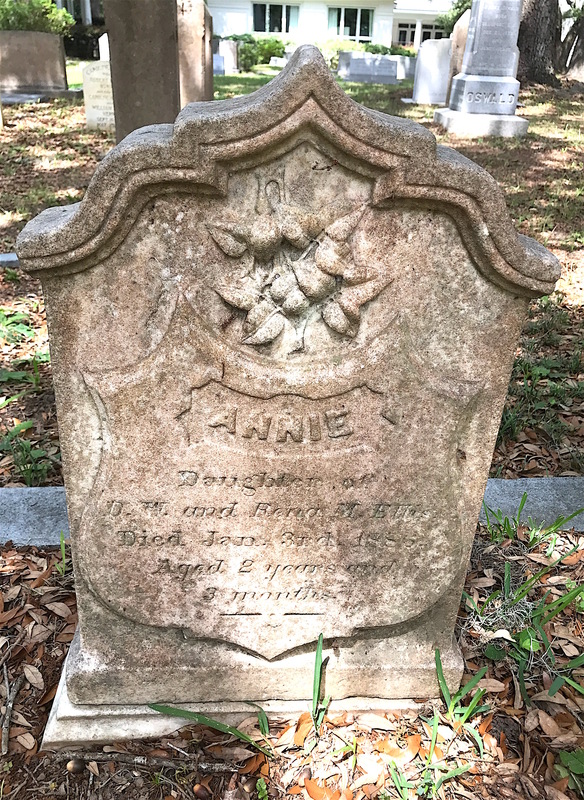 Born in October 1883, Annie Ellis died at the age of two on January 3, 1886. 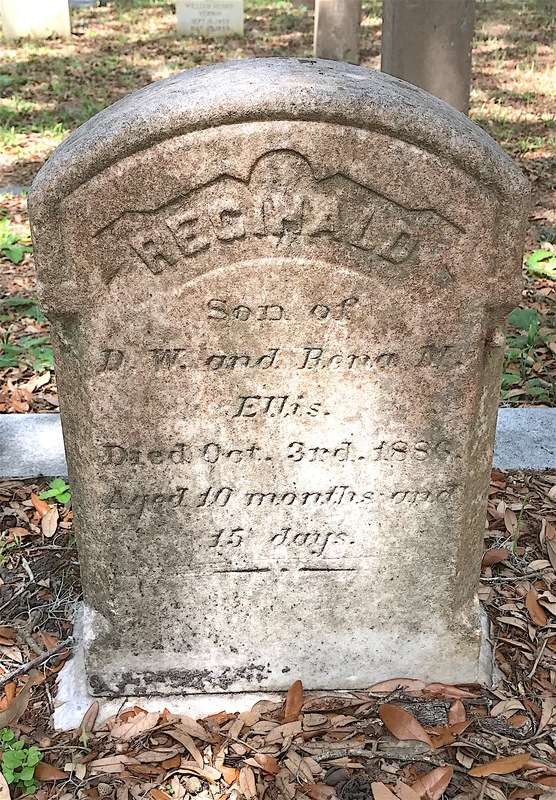 Born Nov. 18, 1885, Reginald Ellis was 10 months old when he died on October 3, 1886. It was the birth of Reginald on Nov. 18, 1885 that led to the death of his mother, Rena. She died on the same day. Rena McLeod Ellis died at the age of 29th after the birth of her third child. Rena was the daughter of William Wallace McLeod and Susan Lawton McLeod, who married sometime before 1848. Born in 1820, William was the son of Robert McLeod and Mary Mikell McLeod. 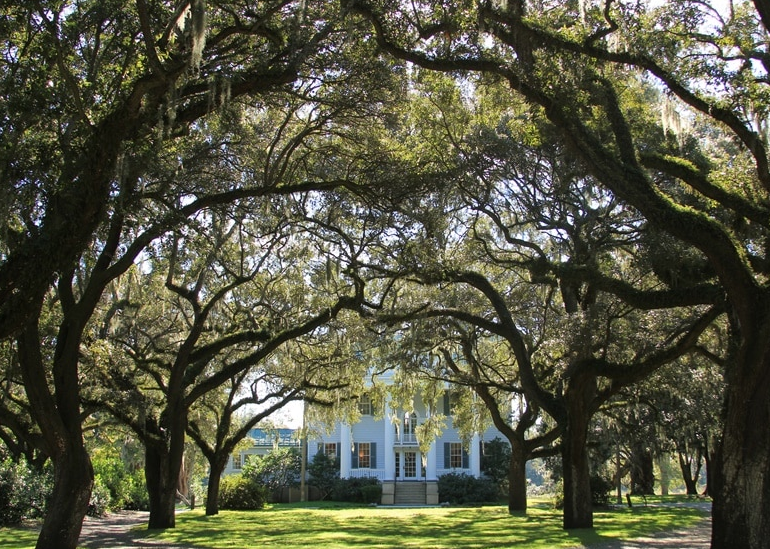 He acquired what became McLeod Plantation from William McKenzie Parker II in 1851, a vast property of nearly 1,000 acres with many slaves on Wappoo Creek on James Island. The house William built on it was used as a Confederate field hospital during the Civil War from 1861 to 1865, then as camp quarters for the black Union troops of the 54th and 55th Massachusetts Volunteers in 1865. The house, slave quarters, and grounds are now owned and maintained by the Charleston County Park & Recreation Commission. Rena’s mother, Susan Lawton McLeod, died in 1859 at the age of 37. She is buried to the right of her husband William Wallace McLeod’s cenotaph. Susan Lawton McLeod died in 1859 at the age of 38. After Susan died in 1859, William remarried to Martha Styles Royall in 1860. She was 24 at the time of their marriage. Sadly, she died on August 8, 1861. Martha Stiles Royall McLeod was the second wife of William Wallace McLeod. William enlisted in the Confederate Army in March 1862 at Grahamville, S.C. He was mustered as a private in Company K, 4th South Carolina Cavalry. Records indicate that from March 1 to August 31, 1864 he was was detailed at a regimental hospital as Assistant Commissary on July 17, 1864. 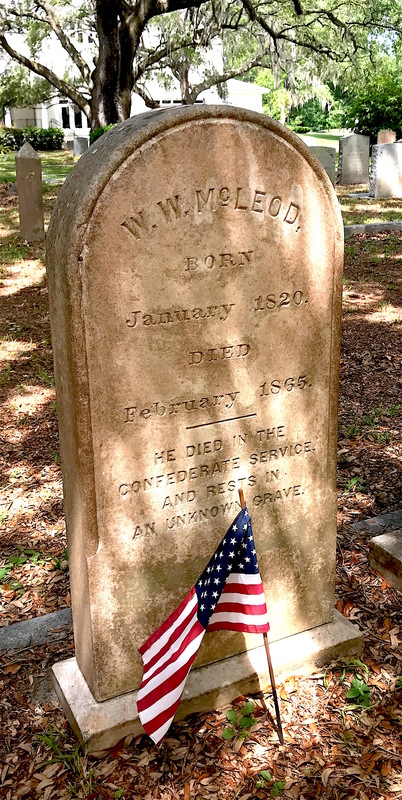 He is thought to have died in February 1865. A cenotaph was erected in his honor at St. James Church’s cemetery as his final resting place is unknown. It is situated between his wives’ grave markers. William Wallace McLeod’s final resting place is unknown. 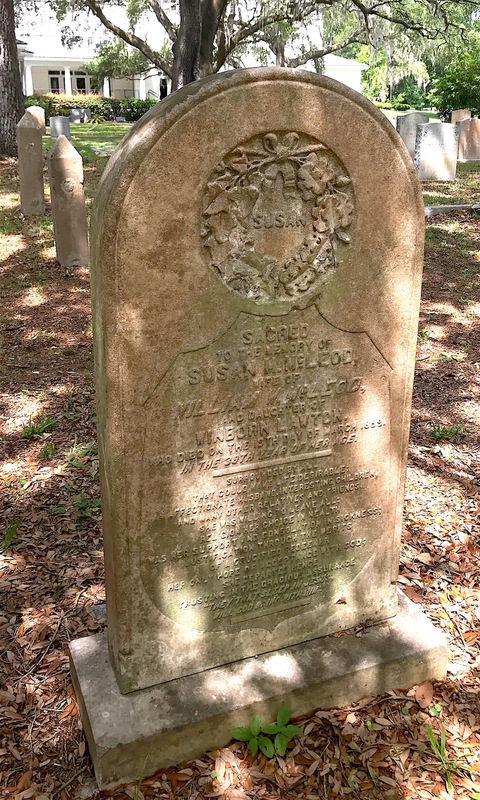 One of William and Susan Lawton McLeod’s children is buried beside her. I include her marker because of the sad little angel face at the top of it. It was carved by prominent Charleston carver, W.T. White. Margaret was Rena McLeod Ellis’ sister. 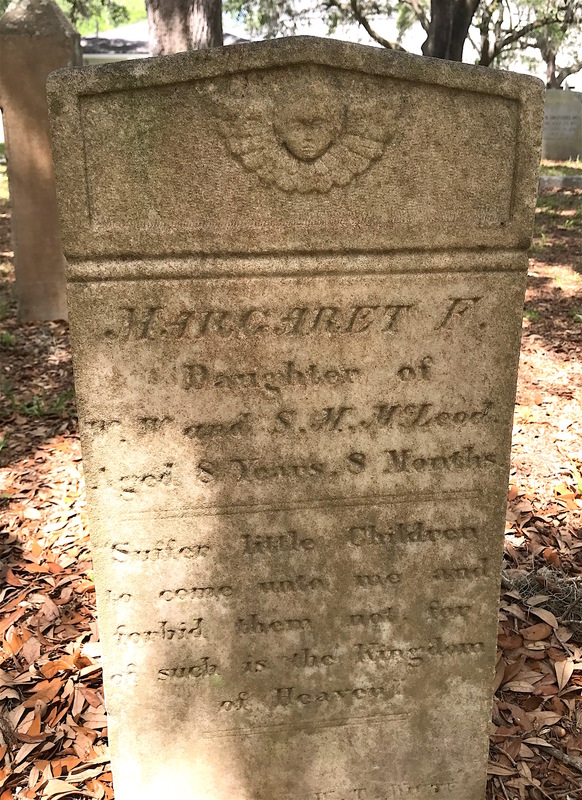 There is no birth or death date on Margaret McLeod’s marker. We only know that she was eight years and eight months old when she died. Let me go back to Dr. Ellis. After Rena died, he remarried in 1890 to Mary Seabrook Rivers. 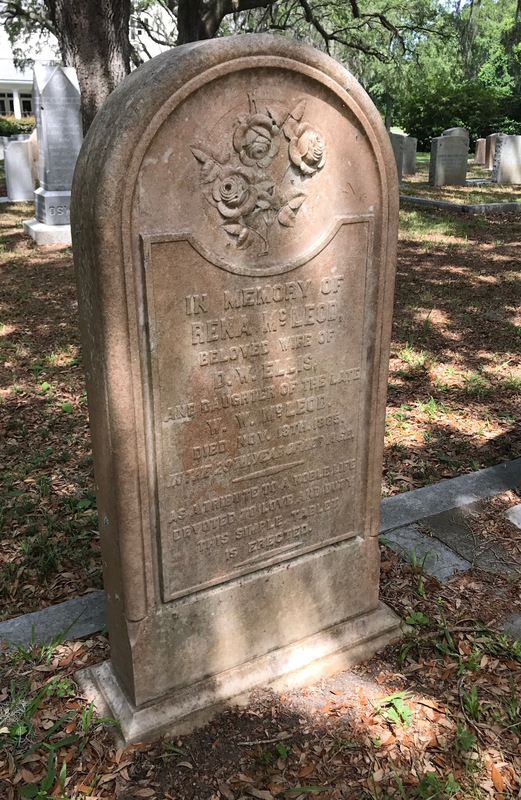 She was the daughter of Elias Lynch Rivers and Cornelia Rivers, who are both buried at James Island Presbyterian Church cemetery. 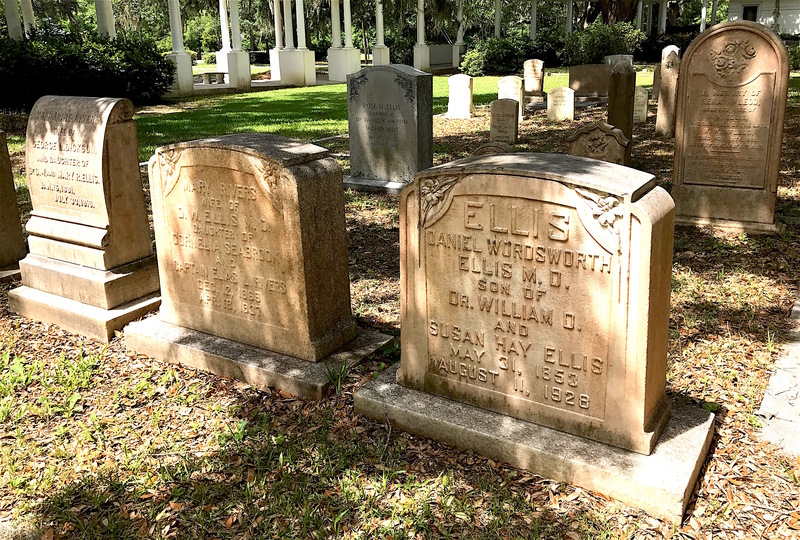 Dr. Ellis and Mary had three children who all lived to adulthood, including Daniel Wadsworth Ellis, Jr., who became a doctor like his father. Dr. Ellis Sr. died in 1928 at the age of 75. Mary, died in 1937 at the age of 67. 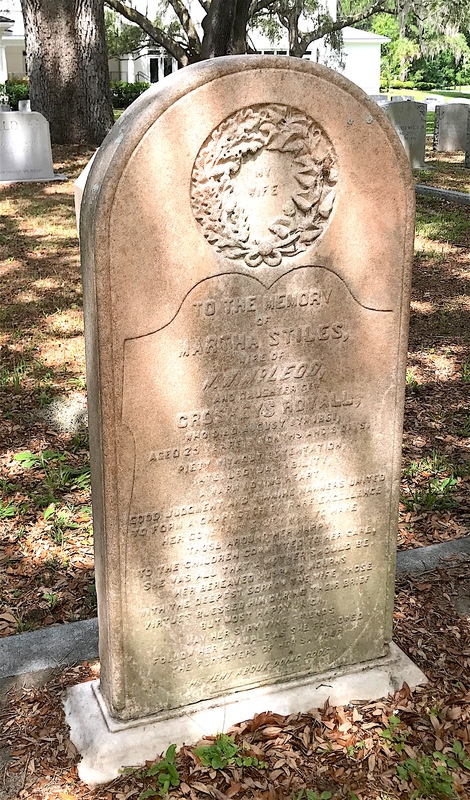 At the bottom right is the grave of Dr. Daniel Wadsworth Ellis. His second wife, Mary, is buried to his left. To her left is their first child, Katherine Rivers Ellis Dickson. 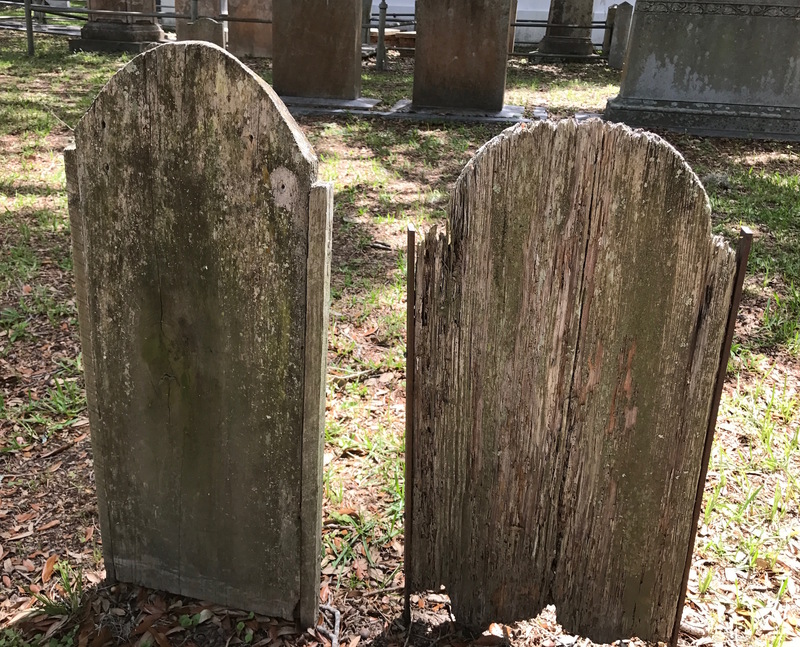 We’ve got more ground to cover at Saint James Church’s cemetery, including some folks with ties to families previously featured in this blog from James Island Presbyterian Church’s cemeteries.